You can free sms everywhere without any registration!!! I'm giving a Example To send free sms for Bangladesh. but you send free sms worldwide and anywhere of the world . just follow the screenshot. Now Select A Country and Send Unlimited Free sms without registration! Thanks bhai. eta darun kaj korche. Thank you vaia. kaj korche. this is a nice article. try also this free sms service, send free sms. This is a free web app service and no registration needed. 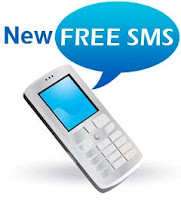 From this web app you can send free sms in the philippines or in any other countries.